Into the sanctuary of books I fall, hear narrative’s call quell clamour of all those other voices. In my head I hold the sustained note of a desk piano being played by a writer elsewhere. Their music soothes me, brings symphony of fiction to calm friction. When done, I start reading again, & another & another. 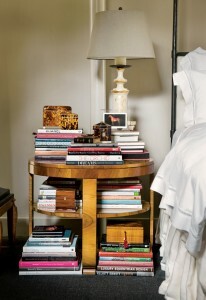 My bedside table is a shrine where, in time, the roar inside of me stems to quiet, shush, let us go to bed & read a book.